Alberti's Window: Lavinia Fontana Post on 3PP! 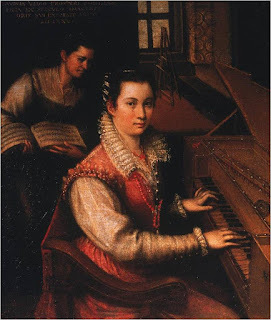 This post was very fun for me to write; I regularly discuss Fontana's self-portraiture (including her Self-Portrait at the Spinet, 1577, shown left) with my Renaissance students. If you want to see a sneak-peek at some of the topics that I discuss in my classroom, check out the post!